Houston rapper Travi$ Scott dropped his breakthrough Owl Pharoah mixtape last year, and now he's back with its follow-up Days Before Rodeo. The 12-track affair sees Scott rapping alongside Rich Homie Quan, Young Thug, Big Sean, the 1975, Migos and PeeWee Longway. Though we've tagged it as such (and, across the web, so did everyone else), the rapper tweeted, "THIS IS NOT A MIXTAPE FREE ALBUM AND VIDEO FOR THE KIDS." In addition to the new release, he's also released a video for the Big Sean/the 1975 collaboration "Don't Play." 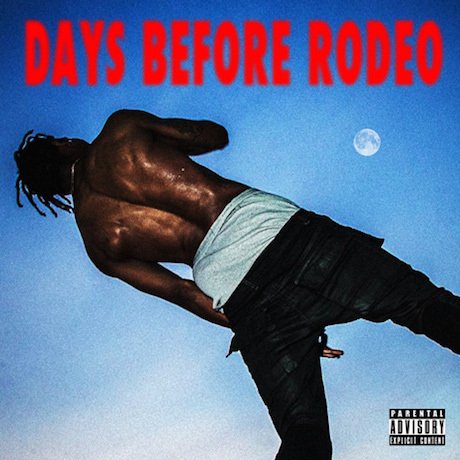 Watch the video and stream Days Before Rodeo below. As the title suggests, the mixtape precedes his forthcoming debut album Rodeo.